Cheap modern wedding invitations are all about the design, so what is hot? Having chatted to our cheap wedding solutions brides that I am in contact with, here are their thoughts. The themed wedding invitation is still very popular with butterflies just having the edge over seasonal themes. Butterflies lend themselves to great color combinations and exotic designs. 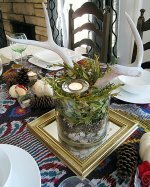 Autumn, Spring and Winter invites are subtle, using the season's colors as the theme rather than pictures of daffodils or autumn leaves! Colors that are popular are chocolate brown, jade green, turquoise, dusty pink and yellow has recently gained in popularity. Simply worded invites printed on quality card are also popular, with the saving being it's just one sheet, with no pictures. The design element is in the colors for the type and the layout. 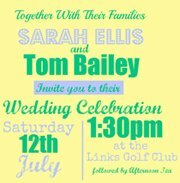 I love the old fashioned billboard poster style invitations as they look so modern in their simplicity. It is quite possible to copy that style yourself using an online graphics program. My favorite at the moment is Picmonkey. Start by clicking on one of their photos to edit and then you wil see a number of icons on the left hand side next to your photo. Click on the overlays icon which has a heart, a star and a speech bubble. All of the overlays are now available to you and you want to choose the Geometric selection. You are going to choose a rectangle to completely cover the photo you are editing. The choice of colors of your overlay will come up, choose the background color that you want for your invitation. In this example I have chosen a lemon color. Now you want to add the wording, so you will want to click on the letter P on the left handside. Write each line of text that you need seperately as you can then have a different font and color for each line, if you want. You will need to type the text into the type box, then choose the font and click add. The writing will appear on your picture and a help box will be there where you will be able to change the color and size of the letters. To match the text color, click on the larger box on the right of all the colors and you will have an eyedropper tool. Use your mouse to control the eyedropper and click on the color that you want. This could be from a photo or graphic already open on your computer or from previous text on the current invitation you are working on. Which is how I have matched the colors on the example. If you want to add a rectangle onto the invitation that you type into just add a smaller rectangle using the overlay section as before. And then go back to the text part under the letter "P". The great thing about Picmonkey is that there are lots of graphics you can add to your designs, they are all under the overlays section. That's the one with the heart and speech bubble! You can use the same process to design all sorts of wedding invites, RSVP cards and programs. And then have them printed or use your own printer at home. Most of the brides have saved themselves a fortune by either printing and designing them themselves or by using cheap wedding invitation kits. The biggest piece of advice from these busy diy brides has been to keep it simple, you will have to duplicate the look many times. 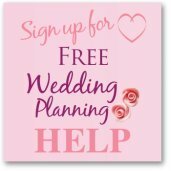 Remember to fully estimate the costs of making your own cheap modern wedding invitations, it is easy to be shocked by how much a professional will charge, (I know I am many times a day) but when you add up the cost of card, printing, ribbon, stamps, crafty stick ons, plus your time you will probably be close. 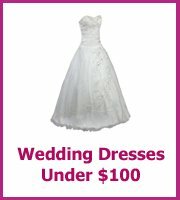 $5 Off any order over $100 at InvitationConsultants.com. Order Invitations for any occasion today. Coupon Code CJ34495. 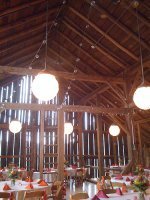 We recently received an invite from a male friend who is organizing the wedding himself, probably been watching too many wedding programs on tv! And it is a printed A4 sheet with all of the information needed, their names, where, when and how to rsvp. It makes you think, do you really need all of the expensive extras?